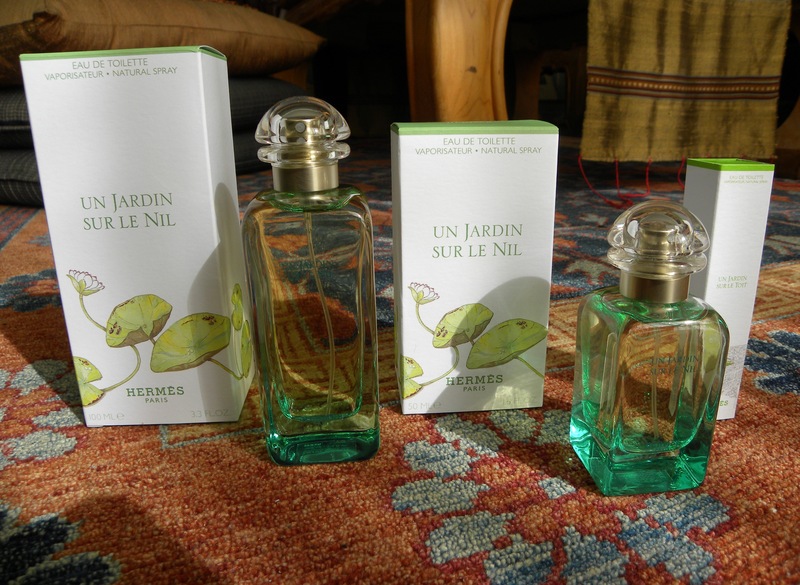 This entry was posted in Beauty, Luxury and tagged 100 mL, 50 mL, エルメス, エルメス ナイル, フレグランス, Beauty, Eau de Toilette, Fragrance, Hermès, Luxury, Perfume, Un Jardin Sur Le Nil by linneabylinneanilsson. Bookmark the permalink. Yes, I dare say, this was alluring indeed. I’ll definitely have to stop and smell it the next time I’m at the perfume counter. I will have to track this down…thanks! At least you should try it on. It’s good. Love the bottles too. They have a look of the twenties or thirties about them which fits with your Agatha Christie reference as does the gorgeous chenille cloth. Yes, isn’t it ridiculous, it was the shape and expression of the bottle that caught my attention when I went into the Hermès boutique and they urged me to try it on. (sounds like I’m the genie, right? 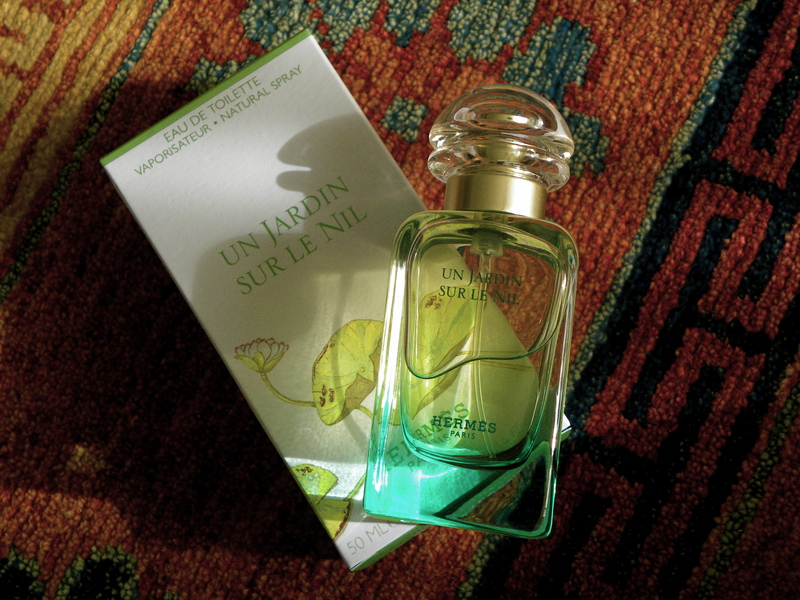 ).Luckily, the scent was fresh too so that’s a bonus.